Where does the best chocolate in the world come from? In previous years, Swiss, French and Belgian chocolate was globally regarded as the best in the market. However, during the past couple of years, the tables have gradually started to turn. It began when the continent (where the cacao plant originally came from) started producing its very own chocolate and the results ended up being out-if-this world. This chocolate started competing internationally and gained a reputation not only for its delicate and intense flavour, but for the sustainable practices that followed its production.If you are passionate about chocolate, we can assure you that you will want to know more about this world favourite. This is why we want to invite you to come visit the birthplace of the world’s finest chocolate: Ecuador! To obtain the best quality of anything, you need the best raw material to begin with. In Ecuador, climate and geological conditions are so favourable – due to its advantageous position on the equator of the planet – that the soils are rich in nutrients and sunlight is available all year long. These two crucial factors make for a cocoa bean that is so rich in flavour and aroma, that chocolatiers around the world go crazy for it. If you haven’t heard of it before, the bean we are talking about is called the Arriba Cacao – a highly coveted bean that makes for the finest dark chocolate. This kind of bean grows successfully only on Ecuadorian soil and its trademark is its fine aroma. 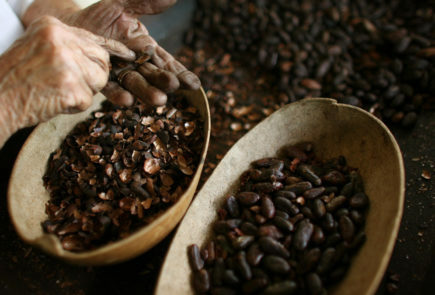 In Fact, only 5% of the world’s cacao is labelled as Fine Aroma. Much like Hollywood’s Oscars, the International Chocolate Awards have been taking place since 2012. With increasing popularity, these awards have come to represent the best that’s out there in the world of chocolate. To receive one of its prestigious recognitions is no easy feat. The Ecuadorian brand Pacari managed to earn the World Gold Award during the first year of the event and managed to this same award again every year after that. Talk about perseverance! In the year 2014, Pacari won 14 awards, beating Denmark, Germany, United Kingdom, France and even Switzerland (which only won 2 awards). Ecuadorian chocolate has not only gained a reputation for its amazing taste but also for the sustainable practices surrounding its production. Producers work together and trade directly with cacao farmers. As a result of an increasing interest for cacao farmers to really put all their experience and knowledge into practice, families and whole regions are getting involved in the process of cacao farming now. Producers are also making it a priority to provide education and to value each individual involved in the chocolate making process. 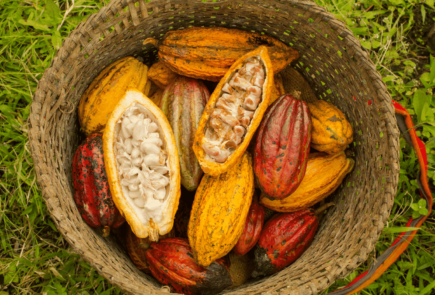 Farmers are now taught about how to take care of the land and to appreciate the value of nature to emphasize the fact that, without conservation, there wouldn’t be forests in which to grow the world’s best chocolate. The production of the best chocolate in the world follows strict fair trade and sustainability regulations. Ever since Pacari put Ecuadorian chocolate on the map again, other local producers have followed their steps and are winning awards of their own, just like the amazing Hoja Verde brand, among others. During your visit to Ecuador and on your way to the Galapagos, make sure you try some of these local brands that will make your water mouth. And, don¡t forget to take some back home. Your friend’s will love you for it! You will be able to find some of the finest brands both at Quito and Guayaquil’s airports, or in any local supermarket.